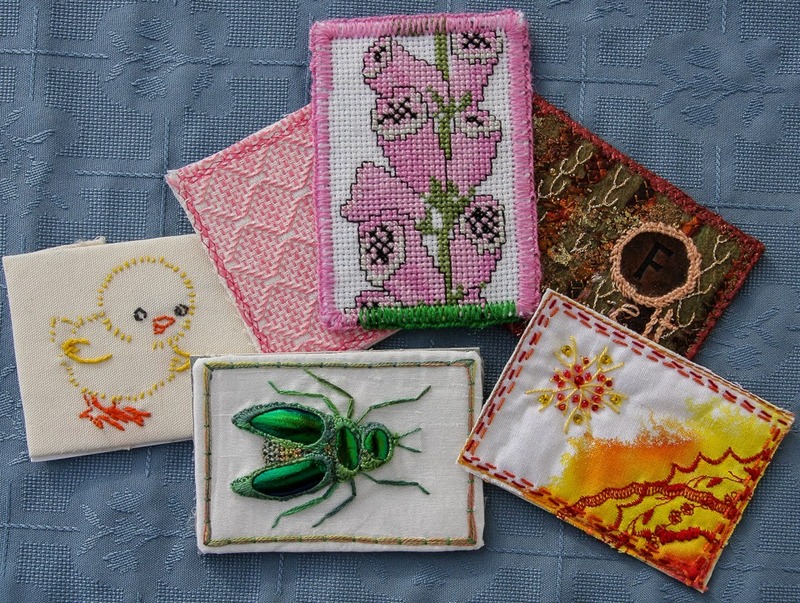 I had participated in EAC's 2014 atc challenge and this week I received my delightful package from the swap. For those unfamiliar with atc's they are miniature works of art 2 1/2" by 3 1/2". I enjoy the challenge of being creative on something this small. 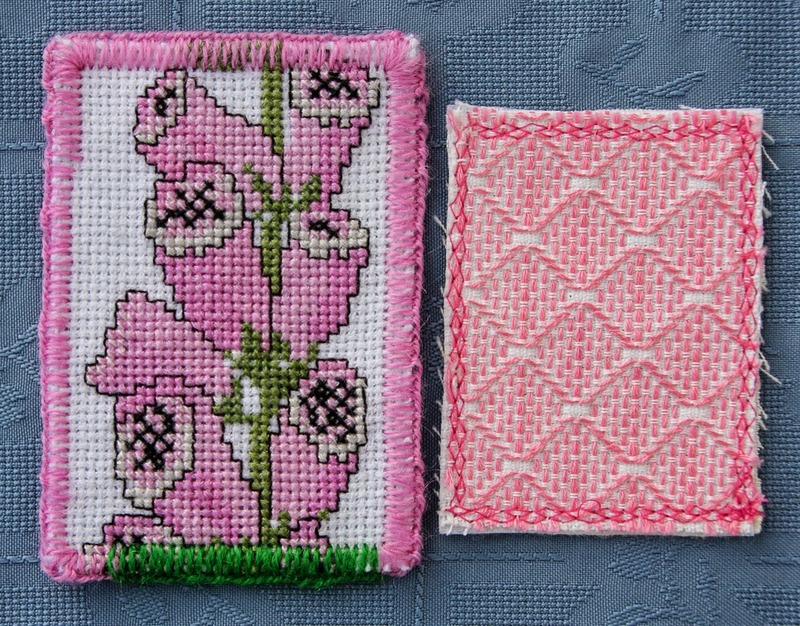 The lovely cross stitched foxgloves atc was embroidered by Kerry in Calgary and what I think is huck embroidery was stitched by Leslie in Nova Scotia. Thank you! 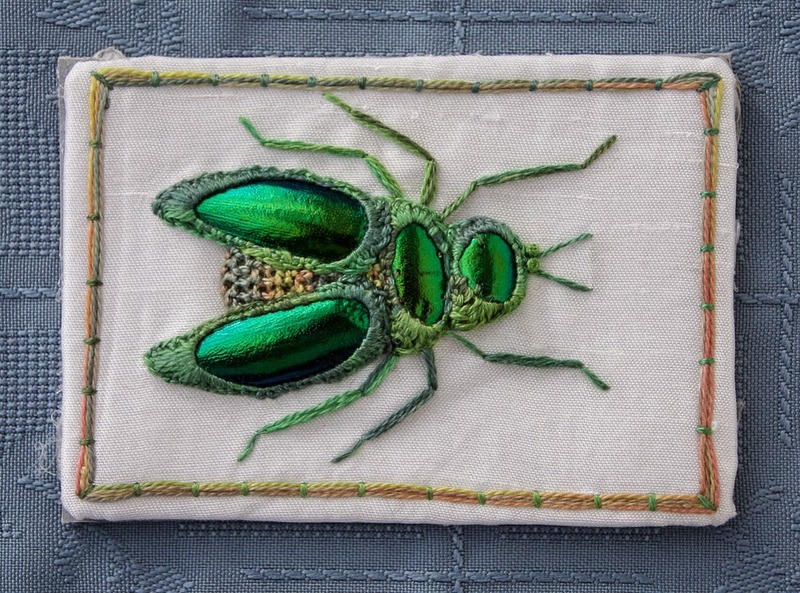 The Shisha Bug atc was stitched by our current president of EAC, Joyce Gill It's wonderfully shiny and looks fabulous! Thank you very much! Thank you all for participating in this exchange. They are a great addition to my atc collection. 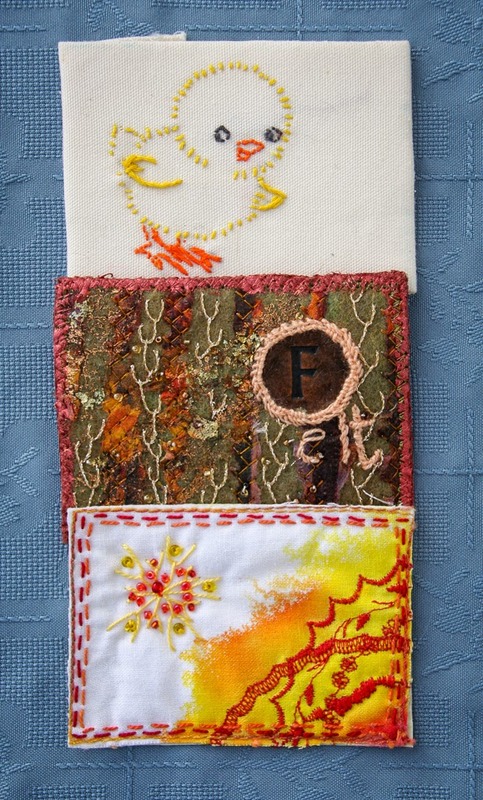 Jeannette - love seeing the ATCs you received!